No matter what the occasion, the thing that guests talk about the most is food. Whether graduation, baptism, birthday, or business meeting, our staff arrives in a timely fashion, well-dressed, and with a smile. Buffet-style catering suits the needs of basic, non-formal events. 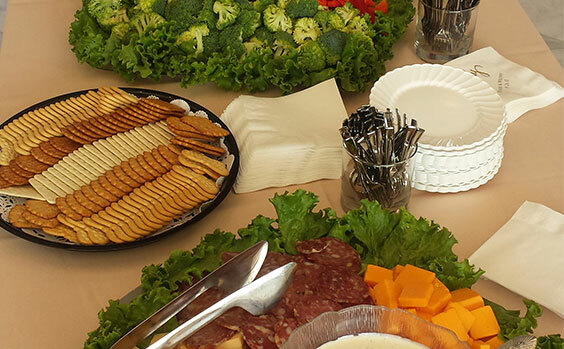 Semi-formal catering suits events such as graduation parties. Formal catering for events like weddings and business meetings.